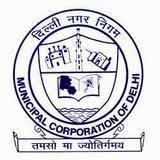 South Delhi Municipal Corporation Recruitment Notification 2018. SDMC inviting applications for the positions of Specialist Grade-II & Junior Dental Surgeon .Interested and Eligible candidates can apply for the positions. Last Date for Submission of Application is on April 27th, 2018.. Candidates have maximum age limit 35 years for Junior Dental Surgeon posts and for reaming all position applicants have 45 years as on the closing date of application. A recognized medical qualifications included in the first or second Schedule or Part II of the Third Schedule of the Indian Medical Council Act, 1956. A degree in Dentistry included in part-I or Part-II of the Schedule to the Dentists Act, 1948. Candidates will be shortlisted on the basis of marks on academic qualifications. Shortlisted candidates will be called for document verification.